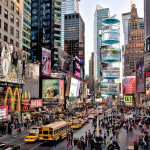 Shanghai-based architecture firm 100architects noticed how New Yorkers are always trying to get out of Times Square as fast as possible, which made them wonder if there was a way to engage people in the urban setting without them having to deal with the chaos at street level. That’s where their proposal for Vertical Times comes in (h/t Architizer). 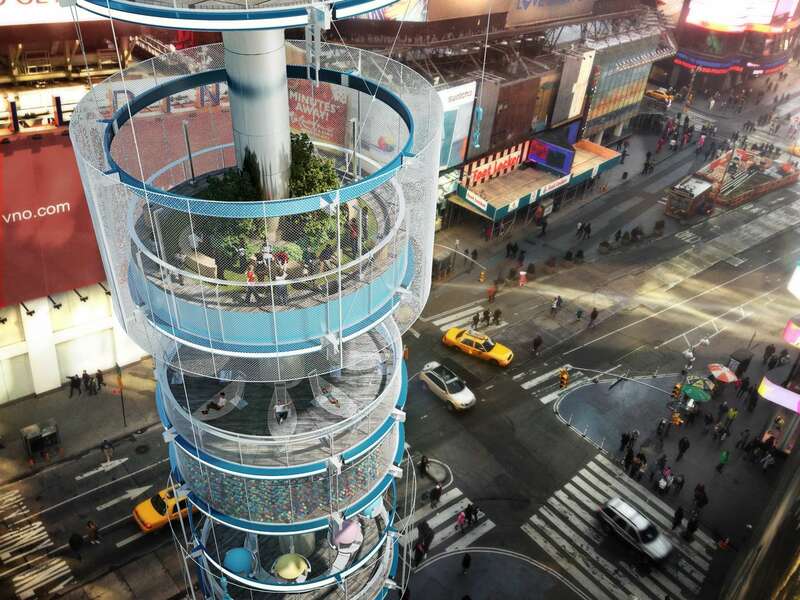 The 180-foot-tall tower is a stack of six cylindrical glass pods along a central column that “multiplies the intended space for public recreation in a vertical way.” Within these spaces would be a carousel, ball pit, hammock plaza, sky garden, restaurant, and bar. 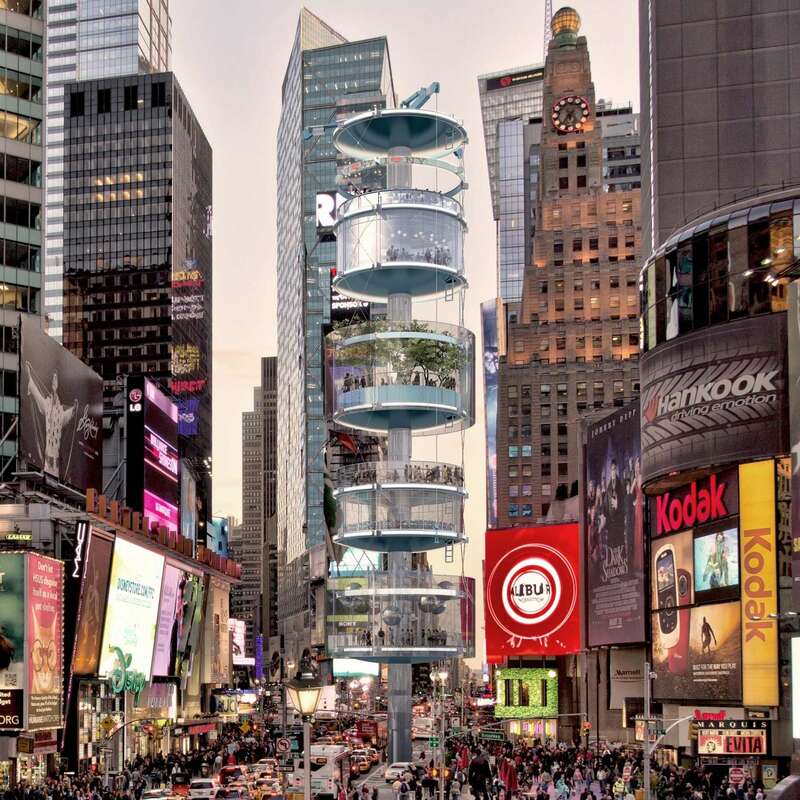 The architects were sure to take into consideration the already crowded landscape of Times Square, designing their tower with a very small footprint. 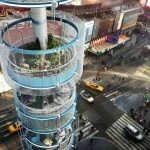 The column is constructed of reinforced concrete and contains an elevator. Radial steel beams support each platform. 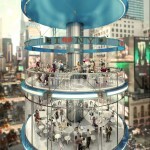 The open roof design allows air to circulate throughout, while the glass walls provide 360-degree views. 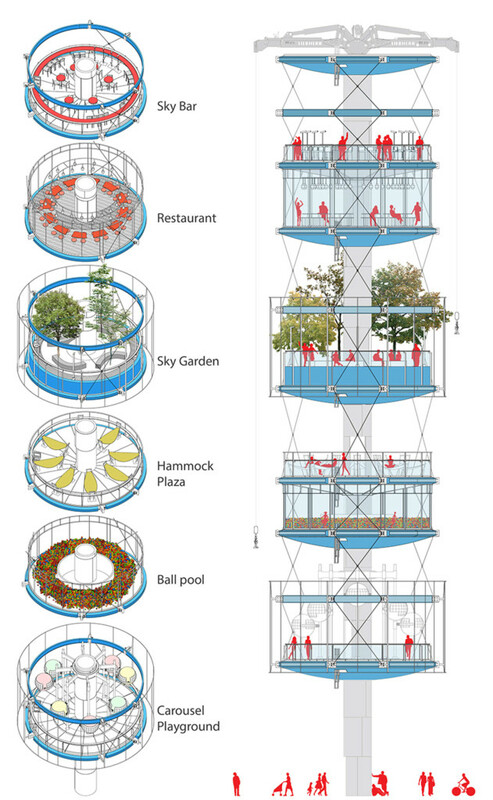 Each pod is 40 feet in diameter and 180 feet tall. 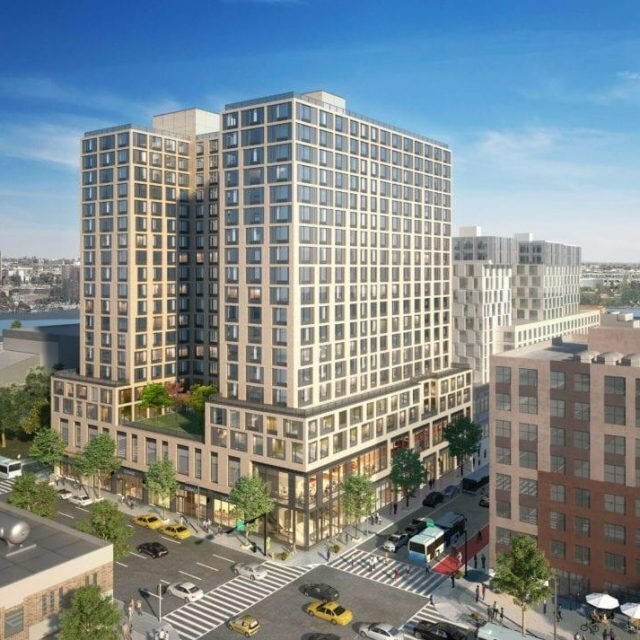 100architects envision their vertical park as both a commercial and public project. 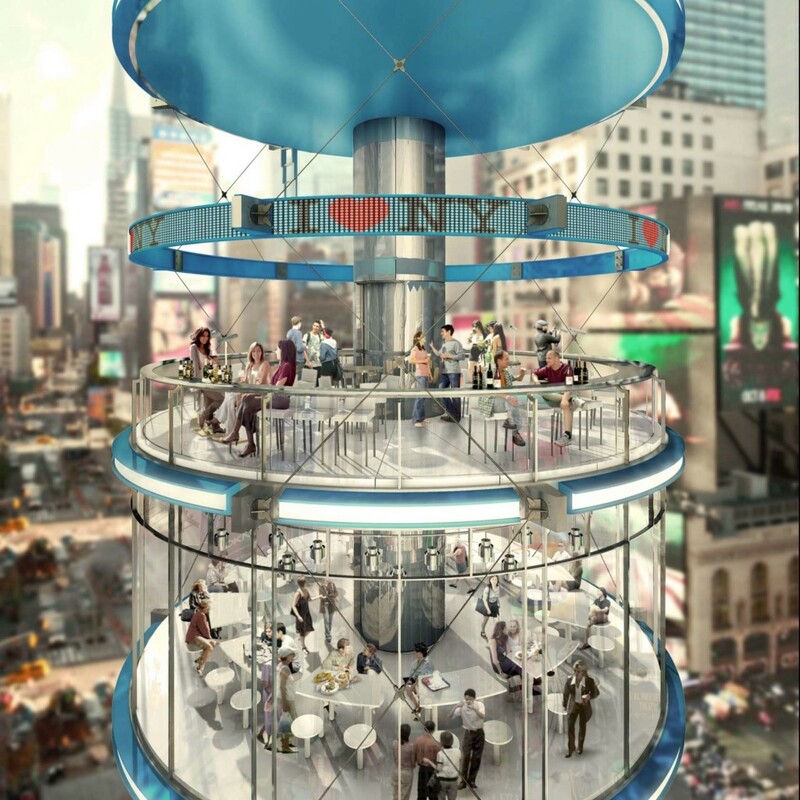 The carousel and ball pit (the children’s entertainment pods) along with the sky garden and hammock plaza would be free to the public, but the restaurant and bar would turn a profit, also helping to offset the cost of construction. 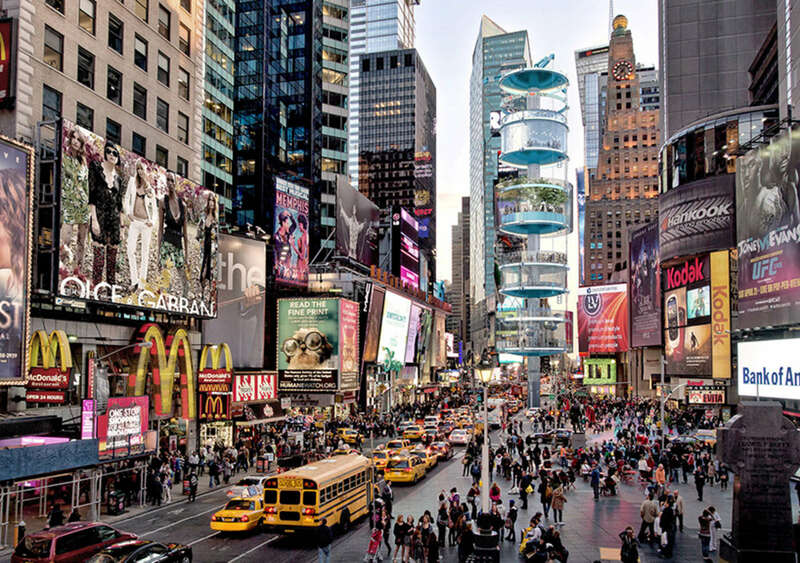 While there are no actual plans for Vertical Times, it does come at a time when the city is looking to make Times Square more family-friendly. 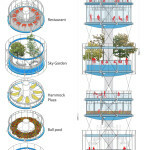 It also jumps on the growing trends of sky decks and vertical gardens.